Technical problems halted a planned American Dark Souls II beta this past week but Namco Bandai is already prepared give it a second try on November 9th. 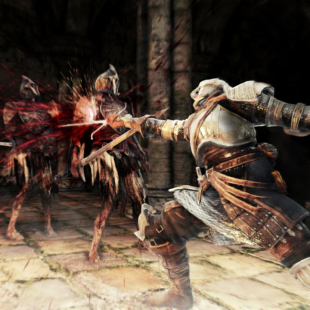 American Dark Souls fans experienced a bit of disappointment recently when Namco Bandai confirmed that it would be delaying the launch of a planned beta due to some unfortunate technical issues. At the time the publisher couldn't offer specific details as to when the beta would be pushed back. Just two days later however, it has confirmed a new launch date that, thankfully, isn't too far off. "We have confirmed the times for the next round of the Dark Souls II Network Test," said Namco Bandai in an announcement on its Facebook page. According to the post, North American testers will be able to access the new beta starting on November 9th at 11:00 PM PST and 2:00 AM EST. It will then run until 2:00 AM PST and 5:00 AM EST. Reiterating what it had said in recent Tweets, the company affirmed that "all participants of previous rounds will be allowed in." It added, as well, that there "is still space to join the next round." In other words, those prospective beta testers who were burned on the 27th can ready themselves anew for a day of brutal virtual slaughter. Here's hoping that the difficulties that prevented the last beta from launching won't show up for a repeat performance.